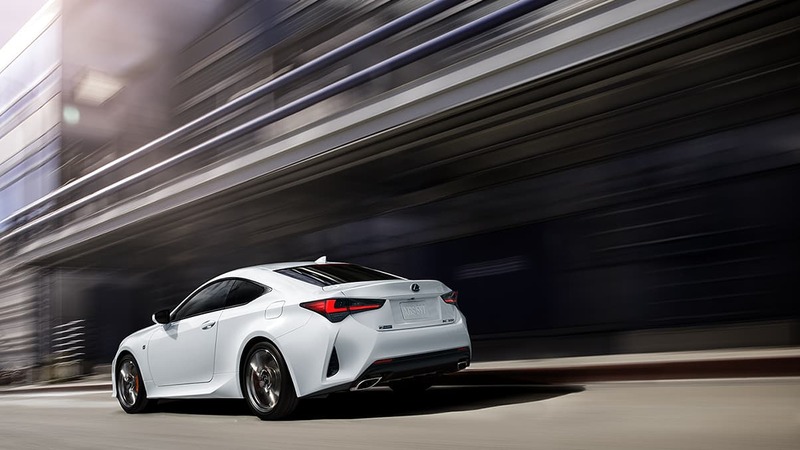 For drivers that prioritize sporty looks and power over having 4 doors, the Lexus RC delivers a harmonious combination of power, looks, luxury, and function in one car. A good sports car needs to have a powerful engine, and the RC has two options when it comes to powertrain. The RC 300 comes with a standard 2.0 Liter Turbo inline 4 Cylinder that produces 241 hp and 258 lb-ft of torque. You also have the option for the RC 350 with a 3.5 Liter V6 that produces 311 HP and 280 lb-ft of torque. Both engines have optional AWD drive-trains. 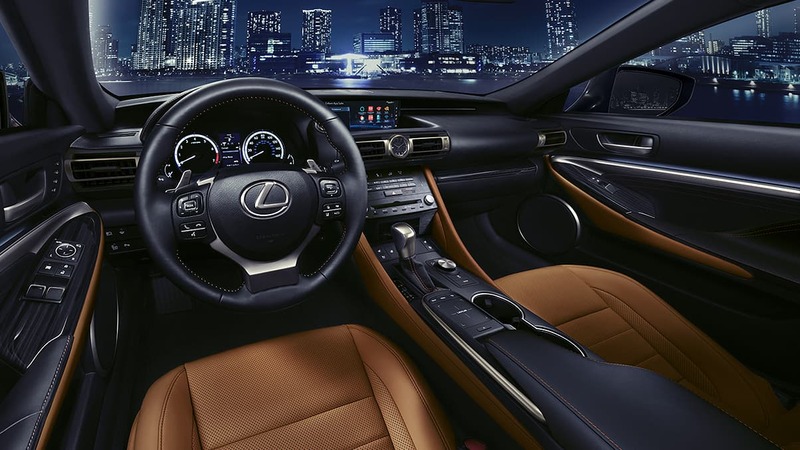 The 2019 Lexus RC comes with all the greatest in media technology, including Amazon Alexa and Apple Carplay. You also have a standard 7 inch media display that can be upgraded to a 10.3 inch display with the navigation package. Besides the entertainment features, the interior of the RC is as well built as any Lexus. Fine attention to detail and rich leathers are visible at every angle of the RC's interior. The RC F Sport package includes the premium and navigation packages plus F Sport tuned variable suspension with Sport S+ mode, 19 inch dark F Sport rims, F Sport heated and ventilated front seats, F Sport perforated shift knob and steering wheel with "F" logo, and various exterior upgrades like new front bumper and grille. You also get the famous F Sport, LFA inspired, dynamic instrument cluster that changes based on drive mode. 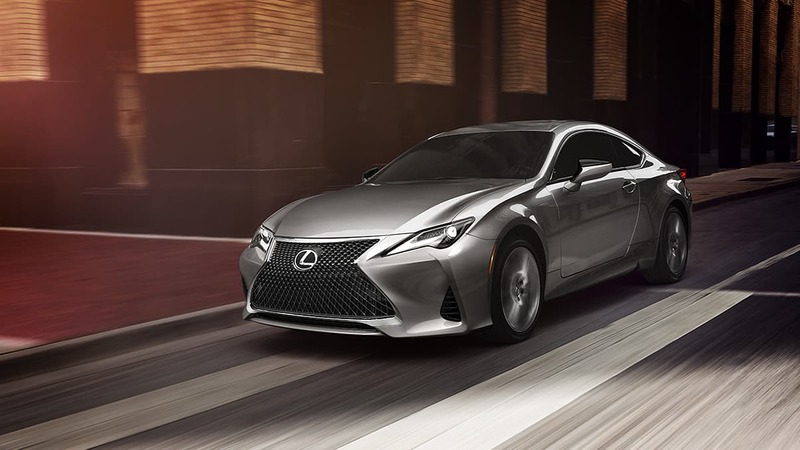 The Lexus RC is not just a fun car to drive, it's also a safe one. 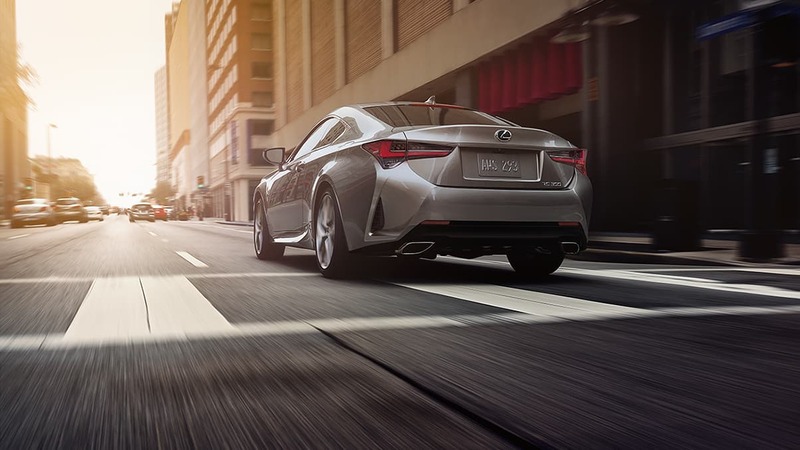 The RC comes standard with Lexus Safety System+ which includes pre-collision system with pedestrian detection, lane departure alert with steering assist, high-speed dynamic radar cruise control, and intelligent high beams. You also have access to other safety technology like Blind Spot Monitoring with rear cross-traffic alert and rain-sensing windshield wipers.